“Give me six hours to chop down a tree and I will spend the first four sharpening the axe” Abraham Lincoln. 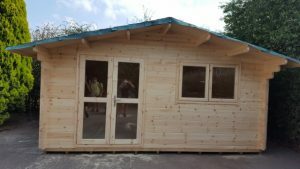 At Astwood we want to do things properly so we take the time to design, manufacture and build (if the construction option is chosen) our log cabins so you are getting quality, consistency, reliability and above all a solid product and excellent service. Remember, not all log cabins are created equal.